Geo-Solutions is one of the leading groundwater and soil solution contractors in the industry. Geo-Solutions is one of the strongest teams in the industry making successful implementation of projects possible. Geo-Solutions is at the forefront of providing and applying innovative geotechnical and environmental services. Explore our innovative groundwater and soil services. From environmental remediation, geotechnical construction and wetlands mitigation and restoration, Geo-Solutions is flexible to meet your needs. 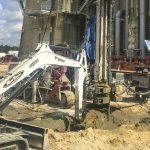 If you’re looking for a geotechnical contractor to help you solve your soil or groundwater problem, our experience covers a diverse range of industries; which includes government agencies to private owners. Geo-Solutions has successfully achieved an OSHA Recordable Rate of 0.0 for 7 out of the past 10 years! We are committed to the safety of our employees and compliance with statutes, regulations, and ordinances. Geo-Solutions Inc. has a wide range of entities that comprise its client base. 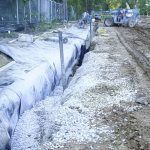 Among these clients are owners, contractors, engineers, federal agencies, and law firms looking for practical solutions to their soil and groundwater problems. 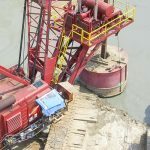 Geo-Solutions provides a range of services, tailored to the needs of each group, for projects including soil mixing, jet grouting, slurry walls, bio-polymer collection trenches, and other grouting services. Learn about the dozens of services Geo-Solutions has to offer. Can't find what you are looking for? Contact Us for further assistance.